Lex Law merits a place in Queens Legends for his 332 first team appearances alone. Having represented Scotland at age group level, he turned down club football at a much higher level to play for his footballing love, the team he usually refers to as, ’The Queens’. His story though is much wider than that as a member of one of Palmerston’s great dynasties. It is also a football story touched by tragedy. Lex Law is a rounded personality who not only has a perennial boyish zeal for sport. He also has a palpable understanding of the fragility of life itself. Early years, the Law Clan and international football. 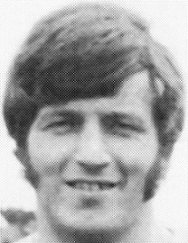 Lex Law’s father, Jackie Law, Sr, joined QoS after having spent five seasons at Airdrie. 5 foot 1, he was the shortest player in the Scottish League at that time. Law senior seems to have used this to his advantage. 228 QoS first team appearances (137 in the league) and soon becoming club captain, he scored 71 QoS goals (39 in the league). He played in the 1938/39 team who finished the season as Scotland’s sixth best side. Law played in the 1937 Scottish Cup victory against Rangers (covered in detail in the article on Willie Savage). He scored twice in another win against Rangers, the 3-2 victory at Ibrox in 1938 that saved Queens from the drop (covered in the article on George Hamilton). Law was robbed of seven seasons by World War 2. He played though for Queens again and in 1946 was given a testimonial against Preston. 1948/49 was his last as a QoS player, playing in the top flight throughout his time on the Palmerston playing staff. He retired as a player at this point and coached in Dumfries until his death in 1959. 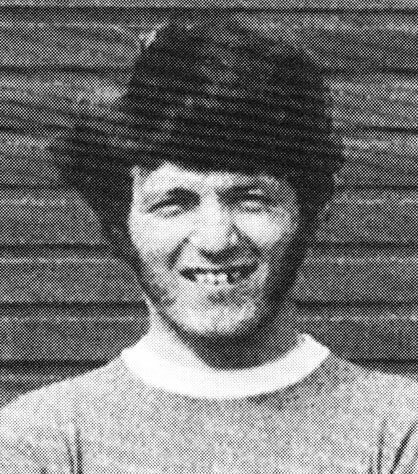 The second of the clan to play for Queens was Jackie Law, Jr, a slightly built, goal scoring left winger and Lex’s elder brother. 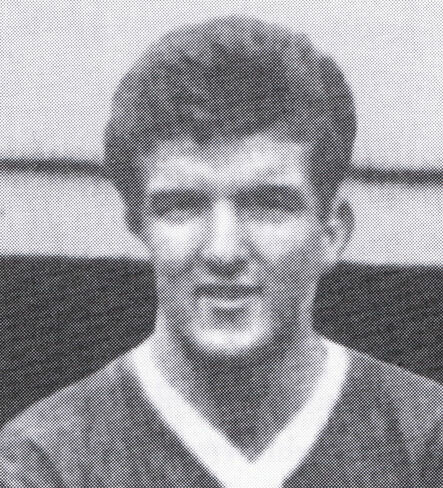 Jackie junior played for Queens from 1963 to 67 making 125 appearances and scoring 34 goals. He was then on the books at Stranraer in 1967/68. Jackie Jr remained a staunch QoS supporter right up until his death in 1996. “Then we got in a taxi with Neilly and he took us home to our house. He stopped the taxi about a street away from where we lived. He stopped it, got us out, both in the middle of the road. He said, ’Now listen. Don’t either of you tell your mother he was playing. Promise?’ We said, ’Yes’. And we went in, and she didn’t ask. That saved us telling a lie actually, but she never asked. She didn’t say, ’Was he on the pitch, was he doing this?’ She was too shocked and we didn’t tell her afterwards either, she never knew. We just left it at that. My dad was 48. 48 when he died. He had angina and he had these pills that he took. He would’ve been alive today, if it had happened today he would have been alive with the way the medicines have come forward. The unusual thing was the bloke he went up for a header with was a doctor. When he went down, he checked him and he must have obviously have said, ’Oh, he’s gone’. “From there on in with Scotland schoolboys I then went on to play for Scotland at under 18 level. So I played at under 18 level then I got picked for the Scotland under 18 European Championship squad, that went away. In that team I was in with some absolute.."
“So we went without them. We still had Bobby Clark [future League, Cup & League Cup winner with Aberdeen], the goalie, we had some terrific players. I’ve mementos of the squad that was named but some got pulled out like they do nowadays. I went to that tournament in Germany, loved it. We played the Italians and we drew with them [Group A, 1-1, 15 April 1965]. Then we beat Yugoslavia [1-0, 17 April]. But then Italy won the other game [2-0, 19 April] so we went out. But it was great experience." Of the 16 teams Herr Müller’s side drew 0-0 in the quarters with Czechoslovakia who went through after the toss of a coin. Cruyff’s Netherlands were also beaten at this stage, 3-0 by East Germany. The Italians lost 3-1 in the semi against England. In the final in Essen a famous name in German football put East Germany 2-0 ahead, Jürgen Sparwasser (Sparwasser scored the only goal in the only ever game between East & West Germany, played at Hamburg in the 1974 World Cup finals). Two names from the England squad above brought the sides level, Dennis Bond & Peter Osgood. The clinching goal was then scored by East Germany’s Hans-Jürgen Kreische. This will have been viewed as poetic justice by the communist East German authorities in Cold War Europe. England were champions the year before. The East Germans (drawn in Scotland’s group), had been refused an entrance visa by the Dutch government. Fallon was responsible for bringing outstanding young talent to Celtic being instrumental in the signing of for example, Kenny Dalglish, Danny McGrain and Davie Hay. Lex (right) joins his brother, Jack, at Queens. Lex became third in the clan to play for QoS with distinction. “The Saturday before my first team debut I played against Rangers reserves at Palmerston. Then I went to normal training on the Tuesday and I was told by my uncle Neilly, he said to me, ‘Now look, don’t do too much tonight, you might be needed tomorrow’. There’d been a flu epidemic and one or two of the players had flu. I turned up on the night with my boots. I played and I scored on my first team debut, playing inside left. I was lucky, I got into the box and I hit this shot with my left foot and that was it. That was against East Fife at Palmerston. I think it was 1-1 final score." This was in the League Cup, 26 August 1964. Queens finished second in the four team group having lost 5-0 in Methil two weeks earlier. "John Murphy, ex Sheffield Wednesday, solid, what a terrific, terrific player he was. And he was a hard man, a real hard man, and he lived by the sword and he died by the sword. He was a miner from Cowdenbeath. I used to watch him when I was a wee, wee boy. I was allowed to sit in the dug out, cause of my uncle Neilly. I used to sit in the dug out and there was a bar across the middle and I sat on that. I used to watch John Murphy and wished that one day I could play alongside him, and I did. Oh, what a player. Hard tackling. I can always remember we were playing at Dumbarton [1-1, 20 Aug 66], it was a [League] cup tie, evening game. My brother Jack was playing, Ches was playing, and John went into a tackle. I can tell you this, because it was my tackle, but I was never the bravest tackler in the world. He came right over the top of me, and, oh! What a crack, what a crack. The crack was just unreal. He’d broken his leg. He came back and played after that but he was never the same. It was never the same John Murphy. He was a terrific player." “There were other games you played in where if you scored, you thought you’d done well. I scored quite a few goals. I was quite taken a back when I was well up in the Queens scoring list. I reckoned that I was a creative midfield player and I’m delighted to have scored all those goals. I used to be more a tricky little player and buzz around. Good times." If this had been any of the preceding seasons Queens would have been promoted back to the top tier. This though was the season at the end of which was the restructure forming the Scottish Premier League. Instead of going into the top flight, Queens thus instead went into the middle of the new three divisions. “People have said to me, ’Why didn’t you go and move on from the club?’ Likes of when I went to university I wasn’t training in Dumfries at all. The Queens could’ve said to me, ‘Now your not doing that’. But they were really, really fair to me. They let me go and because I was doing a PE course I was bound to be fit anyway. They said, ‘You train, make sure you’re doing your stuff’, and I did. I didn’t let them down in that respect, I definitely trained. Queens were good to me. People have often asked me, ’Why didn’t you get a benefit? I often get asked that question. To be honest with you, I don’t really think that I merited a benefit game. I played a long time. I mean Allan Ball, he played double the number of games I played. And Queens had paid me and they had paid me well, I had no complaints. They allowed me to play at a level against good teams, I played against Celtic, I played in matches against them, I played at Ibrox, things like that." "You have to be thankful they allowed you that opportunity. I was pleased, I was proud to have played for them. A man called John Ennis, he was a reporter for the Express, he did the Queen of the South stuff way back at that time. He put a little article in because Clyde in those days were in the top division. They put a bid in, I think it was between 500 and 1000 pounds." How transfer fees have changed. Back to school – teaching and coaching. “I taught at one school for 40 years, same school. I was there for 36 years permanently then I retired and went back and did another five or so covering for staff when they were off so I was there for 40 years exactly. I’ve been privileged with the school I taught at. It was a hard comprehensive but we turned out some good footballers. We turned out some really good footballers. The lad Steven Harkness who played for Liverpool [and Benfica among others]. Steven McCall who played for Ipswich [1981 UEFA Cup winner with Terry Butcher and John Wark] and played for England under 21s. We had some absolutely fantastic players. A lot of them went to Carlisle United because obviously it was the local club. I was fortunate that we had some really good lads when I was a PE teacher." "There was one lad, I saw him the other week in a pub. He’s 55 now and he’s the best footballer I ever seen at schoolboy level and he never signed for anybody. He went to Liverpool for a trial. He went down, came back, I said to him, ’Come on then, what’s the deal for you?’ He said, ’I didn’t bother, I want to be a plasterer’. I am not joking. And I tell you what, he’s a plasterer, he’s still a plasterer the little fellow, but what a wonderful, wonderful player. I wanted him to sign, when I speak to him it doesn’t bother him. He could strike a pass, I don’t know if you remember Chris Balderstone who played for Carlisle and Queen of the South, he could strike a ball 50 yards right to your foot. This fellow could do that we he was 12 or 13. He was just magic. Magic." "I went to university in 66, I was born in 46, so I would have been 19 when I went. That was 3 years studying PE, I was there 66 to 69 then came back. The funny thing is that my wife, we were at school together, I went to Durham and we decided the week before we finished we would get married and I would go and teach in Scotland. I did teacher training within the PE course. I’d done my three years, I was qualified to teach. We got engaged, got the wedding arranged, I was back at college for a week and one of my mates said to me who was best man actually, he said to me, ‘Where you going to work?’ I said, ‘We’ll just go where we like.’ He said to me, ‘You’ve got a problem you know, because you’re trained in England, your wife’s trained in Scotland. You’ll have to do a year’s probation in England. And she’ll have to do 2 years in Scotland.’ So I had to do a year in England. I said to my wife, ’How are we going to live, you’ll have to go to Scotland, I’ll have to go to England?’"
"We tried the Berwick area, near to the Scottish border, couldn’t get in there, no jobs. Then my wife got a job at Springfield near Gretna and I took a job not teaching PE, but teaching primary school kids in Workington. I did that for the year, so we stayed in Carlisle, we made Carlisle our home base, and we both stayed in Carlisle and travelled because there was some good jobs coming up. And I got that job as I say at Morton School with the football talent that they had there was right up my street. If we hadn’t got in in Carlisle I don’t know what we’d have done." “For a nun she’d plenty of money. At Christmas time everybody got a gift, and some of the gifts were quite, incredible even, so somebody had money somewhere. But it was a good starting school. The headmaster was a big Everton supporter. He was quite incredible when he interviewed me. He’s still alive, I still see him, a big Everton man and he liked his football. He was chuffed because, it made his day, Denis Law & Ian St John came to the school. Because we’d actually supported a wholesale firm, Booker, and we were selected, and Ian St John and Denis Law would come to Morton School and they would present this cheque for £200, from Booker to the school. 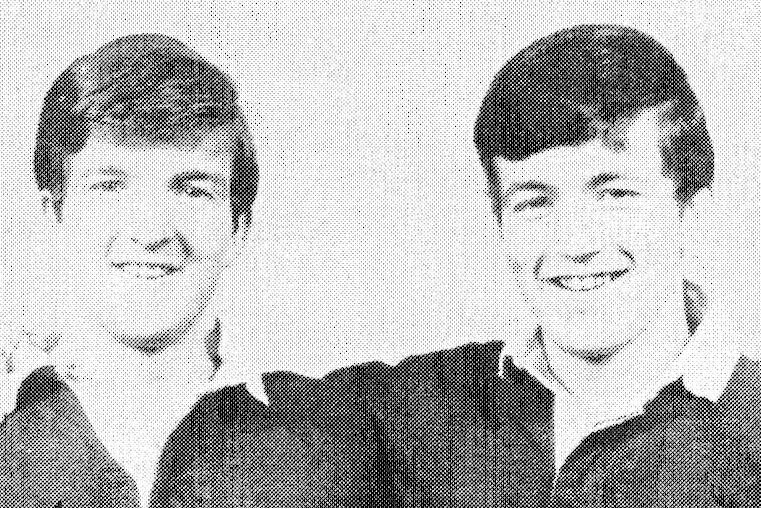 It was fantastic, and the head would interview them on his own to start with, then I got a phone call in the sports block to hurry up and come up." "Denis Law was absolutely brilliant. Absolutely brilliant. He was fantastic in fact. He was supposed to be doing some coaching but nobody told them that, and of course they arrived in their suits. Denis Law, he immediately realised, he said, ’Oh, I am sorry, I’ll tell you what, I’ll play in goal’. In the 5 a side hall he went in goal. He was great." Lex Law is far left beside the cheque holding Denis Law. Ian St John is in the grey suit. To wrap up, some stock Queens Legends staples. Favourite goal scored for Queens. But there’s more with someone to trump those two. “He was quality. He and I made up the left wing with that Scotland youth team at one time. I remember saying to him in the hotel after a Scotland game, and we were all talking about who we’d signed for. Big Frank Munro [yet another from that group to go on to a European final, namely in the 1972 UEFA Cup for Wolves defeat to Spurs], he was going to Dundee United. Bobby Clark, we asked him where he was going. Then the wee fella, Tony, we asked him where he was going, and he said, ’Albion Rovers’. Tony Green actually signed for Albion Rovers when he first set out, when he was playing for the Scottish Schoolboys. We just couldn’t believe it because he was such quality. And then he said, ’But I’ll be all right,’ he said, ’A year after I get there, they’ll sell me’. And I went, ’Oh, well’. And they sold him to Blackpool, then he went to Newcastle." Tony Green’s ball playing sorcery was indisuptable. He was also astute. Rather than spending his teens on the fringes at one of England’s big spenders where he was inevitably destined to end up, he wanted the experience that came with regular first team football. He got that at Rovers before his move to Blackpool where again if he was fit, he played. And when he played, he starred. Then came his big money transfer to Newcastle. He played only 39 sparkling, idolised games for the Geordies in less than a year before injury ended his playing days, aged 25. Joe Harvey, a managerial legend on Tyneside, said of Green’s retirement, "It was the saddest day of my life. He was my very best buy." Such was the impression the 5 foot 7 magician made in such a short time, he has been inducted into the Newcastle United Hall of Fame. He is similarly an inductee at Blackpool. Post football he became....... a teacher. As at 3 November 2017 Lex Law is 19th in the Queens all time appearances chart with 332 first team games. In the QoS all time goal-scoring charts, Law is currently in 18th place with 68 goals. His father’s 71 goals rank him two places above in 14th.